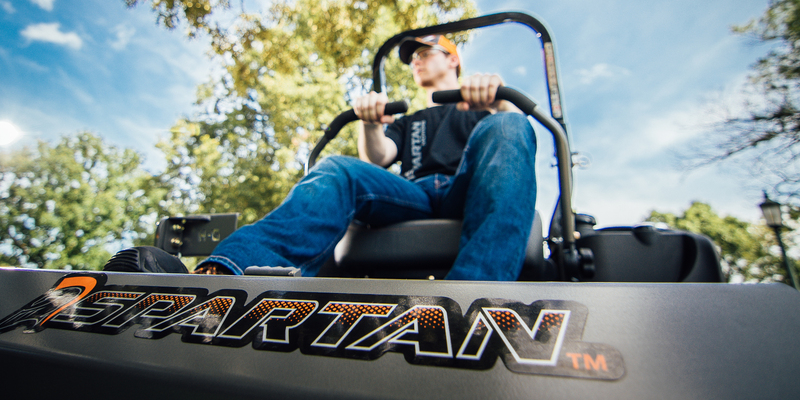 American-made Spartan Mowers are hand-crafted in Arkansas with American made products. 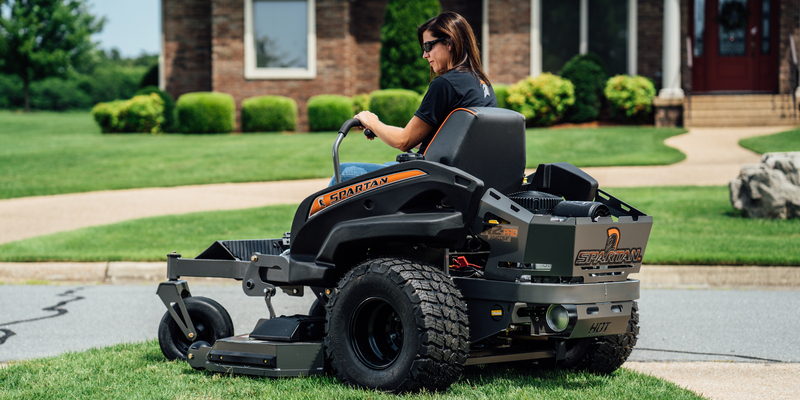 Spartan's seven-gauge deck is easy to operate and cuts like a dream. Get back on the race track. In your own back yard. You will look, feel and SOUND like you're on the track with the limited edition Mark Martin Spartan, completely decked out and loaded up with the amazing standard features available on every SRT Spartan, as well as a customized upgraded seat, dual chrome exhaust, LED light and custom Mark Martin decals. 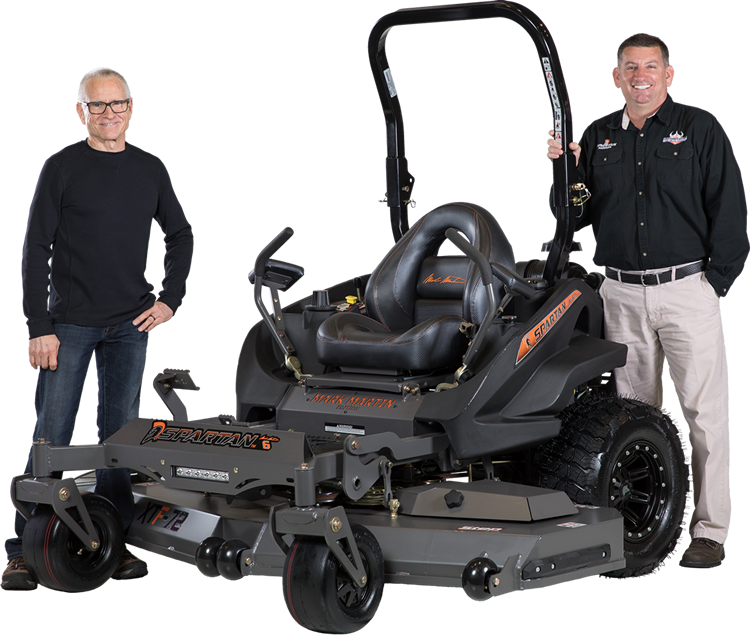 Mark Martin knows a thing or two about the importance of quality craftsmanship, precision manufacturing, and what it takes for a smooth ride. 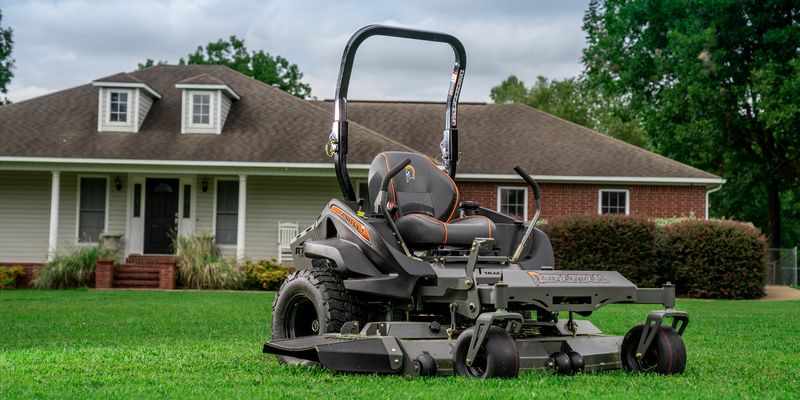 He loves this mower enough to put his name on it. And so will you. 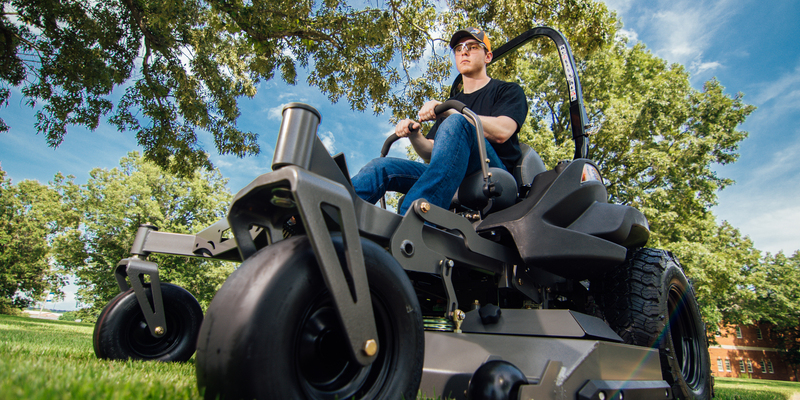 Mow With Us. Grow With Us.